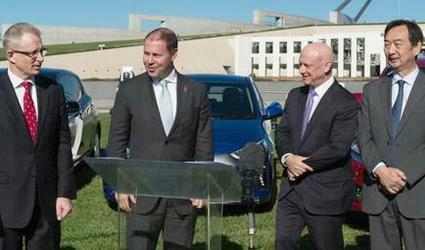 CANBERRA, Australia, May 30, 2017 (ENS) – A new national body that aims to drive the uptake of electric vehicles in Australia has been officially launched in Canberra. The Electric Vehicle Council is an industry-led organization representing companies involved in providing, powering and supporting electric vehicles. Its members sell over 350,000 new vehicles a year in Australia, and have over six million Australian customers. Yet, Australia has been behind many other countries in its adoption of electric cars. The Minister for Energy and Environment Josh Frydenberg who attended the launch of the Electric Vehicle Council on May 22, announced a A$390,000 grant from the Australian Renewable Energy Agency (ARENA) to support the popularization of electric vehicles across the country. Electric Vehicle Council Chair Behyad Jafari says the market for electric vehicles includes great opportunities to deliver economic investment, innovation and environmental sustainability. “While the global industry grows exponentially each year, Australia continues to miss out. In the next 12 months, almost one million electric vehicles are projected to be sold, with more than $50 billion invested in the industry over the last 10 years,” Jafari said. “Addressing the barriers preventing the mass uptake of electric vehicles in Australia requires a consistent and collaborative effort across a range of sectors,” he said. Jafari says that in addition to introducing vehicle emission standards, key policy measures include incentivizing electric vehicle purchase in the short term as the technology works to meet price parity through upfront incentives and taxation measures. He also believes it’s important to establish a recommended roadmap for a national public charging infrastructure. “We welcome others from across industry, consumer groups and government to join the Electric Vehicle Council as we work to build and provide certainty for investment in the Australian electric vehicle industry,” Jafari said. Scott Ferraro, who heads implementation for ClimateWorks Australia, said the funding from ARENA will support a broader effort to educate and engage Australians about electric vehicles. 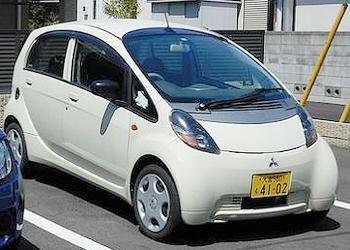 “Globally, the number of electric vehicles sold annually is growing rapidly. However in 2014, electric vehicle sales accounted for just 0.1 percent of new cars sold in Australia,” Ferraro said. “This funding will enable us to work with the Electric Vehicle Council to provide more information about electric vehicles to Australian consumers and undertake research on the best policies to drive greater uptake of electric vehicles, particularly at the early stages in order to increase model choice and infrastructure,” he said. The Electric Vehicle Council will publish a state of electric vehicles report annually to monitor progress on the transition of the Australian fleet. Ferraro said electric vehicles provide a range of environment, economic and social benefits. Electric Vehicle Council members include automotive manufacturers: Audi, BMW, Hyundai, Jaguar Land Rover, Mitsubishi, Nissan, Porsche, Tesla and Volkswagen Group; diverse energy businesses: ActewAGL, utility AGL Energy, Synergy and TransGrid; infrastructure and fleet businesses: JET Charge and Lennock Fleet; not-for-profit ClimateWorks Australia; project engineering firm ITP Renewables and motoring club Royal Automobile Club of Victoria.